China’s defunct Tiangong 1 space station mostly burned up on re-entry into the atmosphere Monday over the central South Pacific, Chinese space authorities said. Brad Tucker, an astrophysicist at Australian National University, said that Tiangong 1′s re-entry was “mostly successful” and that it would have been better if the space station had not been spinning toward Earth. 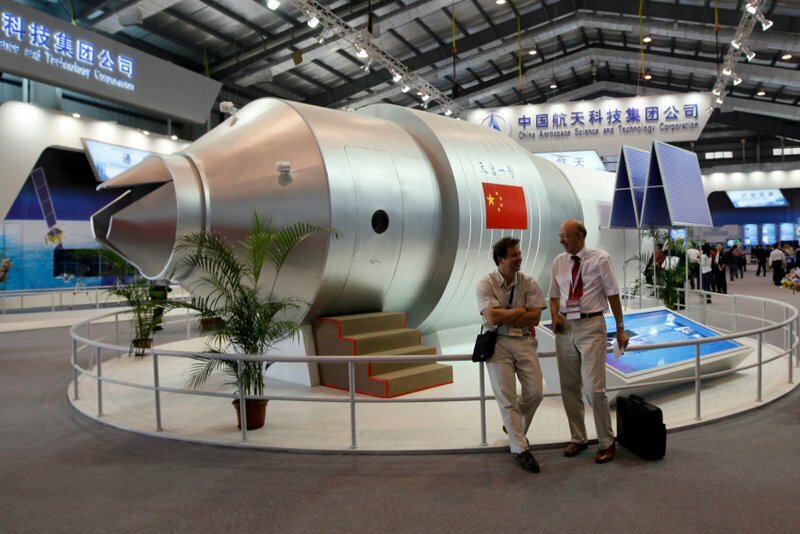 Roger Thompson, senior engineering specialist with the Aerospace Corporation in Virginia, said modeling of Tiangong 1′s re-entry by monitors in the US had been highly accurate, leaving him feeling “great” about their predictions. China’s foreign and defense ministries said the country had relayed information about Tiangong 1′s return to Earth to the United Nations’ space agency and others. Most famously, America’s 77-ton Skylab crashed through the atmosphere in 1979, spreading pieces of wreckage near the southwest Australian city of Perth, which fined the US $400 for littering. China’s space program has made rapid progress since it launched its first crewed mission in 2003 — becoming only the third country after Russia and the US to do so — including placing a rover on Mars and conducting a spacewalk.